One of the most popular features Titus Contracting offers is retail build-outs, i.e. remodeling existing retail space. 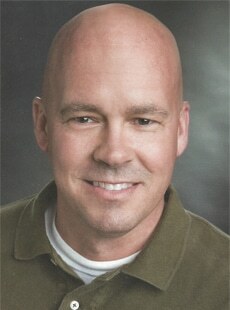 Scott Rajavuori, Titus Contracting’s manager of sales, design and marketing, has wide experience with retail build-outs. What do business owners need to remember when they undertake a retail build-out? One of the biggest things is ADA requirements; we need to make sure everything is accessible to everyone, and there are codes to insure that. With the ADA requirements come ADA guidelines that also have to be followed. You also have to be aware or thinking about egress. Local authorities will be concerned how you go about exiting the building, from the path to the door size and the markings (exit signs, emergency lights, etc). What are some of the most common mistakes made by DIY efforts? The most common is beginning without a complete plan or permit in place. Those who try to do it themselves often don’t realize they need an Architect of Records to sign off on their print. They get started, using only a rough drawing, and then find out many of their plans do not meet the International Building Code (IBC) when the city shows up. What are the current trends in retail build-outs? Right now, carpet tile is huge because owners like the look, and they like being able to change out a 2×2’ carpet tile if damaged versus repair or replacing the entire carpet. Also big is LED lighting because of the efficiency, and more and more people are going green. With colors, multiple bold colors are being used with contrasting accent walls. We’ve also been seeing a lot of higher-end wallpaper being used by designers, as well as unusual woods and the higher end countertop materials (granite, Cambria, Silestone, etc.). When clients want to select lighting, colors, fixtures, etc., we have many locations we can send them. We can also recommend a few interior designers. Before work begins, what do you recommend to clients? It’s important to have complete plans and specifications, as this helps to acquire an accurate bid and eliminate potential problems and work stoppages. We like to provide a draftsperson when signed prints are not necessary, or if they are, we’ll bring in our architects. Working with designers and architect we have in the past helps keep costs down, and since there’s that history, we’re more likely to have a quick turnaround and accurate picture of the project. Have questions about retail build-outs? Call us now at 952-746-7817 or Request a Free Estimate. Previous Post Twin Cities Home Remodeling: Summer Projects that Increase Your Home’s Value Next Post Construction Management: Why is it so important?